This post was not to be. It kind of forced itself when the earlier, Terror Factory: To Nurture a Terrorist, To Nullify & To Frighten, was posted. There is a long path of many small and some giant steps that are needed before a grievance manifests as terror. In an iniquitous world such as the one we live in, most individuals may have some sense of injury, injustice suffered at the hands of or having been wronged by another individual/s, group, community, or even society. Often such feelings are vague or inarticulate. These feelings or thoughts largely remain just that whether they later get articulated & voiced or not. Just because a person harbours such feelings doesn’t establish his criminal culpability unless these find expression in a criminal act. A thought-crime is not a crime unless it has material manifestations. That doesn’t mean thought-crime has to be translated into a successful material-crime before it becomes punishable. But it certainly has to, at the minimum, be proved with material preparation. That is where the tactics of FBI come into picture. FBI, by inducing, assisting, abetting, and equipping its intended victim/s, creates the necessary material conditions, wherein the victim will be found at a location in possession of materials that match his *alleged motives*. A path the victim most likely would have never traversed if left to himself. During my travels in Vietnam in 2011, I met many fellow travelers from all over the world. Among the US citizens I met, there was one individual of great interest in the present context. Let us call him George Obama (GO). GO was a white Caucasian, aged about 74 years, Church going, and pretty orthodox. He was from Kansas and had been a respectable mainstay of his community. One of his sons had done several *rounds of duty* in Iraq. GO had a commanding personality and had been wealthy. He was a landlord & he owned several apartment blocks that were leased out, and his time was devoted to maintaining them and to collecting rent. He employed several people. He was as mainstream as any one can get in USofA. In short, he embodied the *American Way*, which the leaders of USofA are fond of invoking. But he lost almost all of his wealth, and had to flee USA to get over his worries & sorrows. He lost his money, he told, in defending himself in the court of law. He had to defend himself from law enforcement agencies. He was arraigned for employing *illegal aliens*. He said in his employment contract he would ask every prospective employee if latter was a citizen and if not, a legal immigrant. He had no reason to distrust people. He knew several other businessmen he said who operated on similar basis. Yet, he felt he was one of the very few people law enforcement targeted for turning him into an *example* to frighten others. Everyone in private sympathized with him and agreed he was being singled out & victimized, he claimed, but he had to still suffer all the ignobility. Eventually, he had to pay penalties and reach a settlement that led to his financial ruin. He just narrowly avoided going to prison he told me with moist eyes. He said the case had made him infamous and googling his name would throw up many references. All this had left him very bitter and anti-establishment. He told me earnestly several times in the course of episodic conversations we held over some 3 months: <<Sadanand!, Believe me, if there was a switch, which, if I press, would vapourise Capitol and White House, then I would do it most willingly>>. No listener took his words seriously. His wish only revealed the strength of his emotions and the alienation he felt from the establishment of his country. But in the hands of FBI *informants* he would have been like a putty that could have been moulded into monster of their choice. 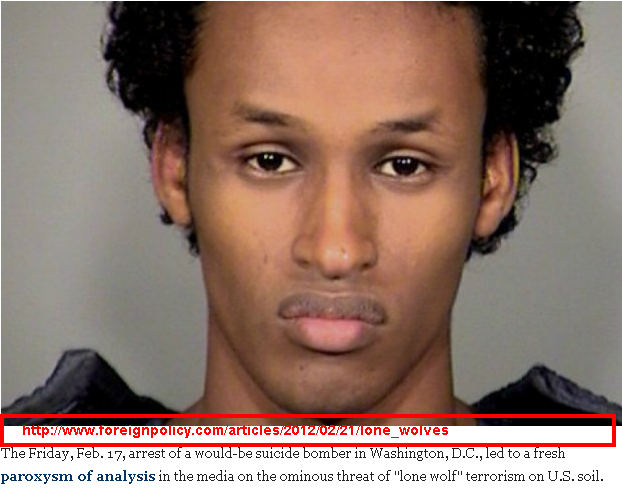 Only obstacle to link him to a Jihadist plot would have been his origins. GO did not originate from the right country (Middle East, Africa, …. ), did not profess the right religion (Islam), or did not have the right colour. GO’s story takes me back 10 years to an event that occurred on 13 December 2001. 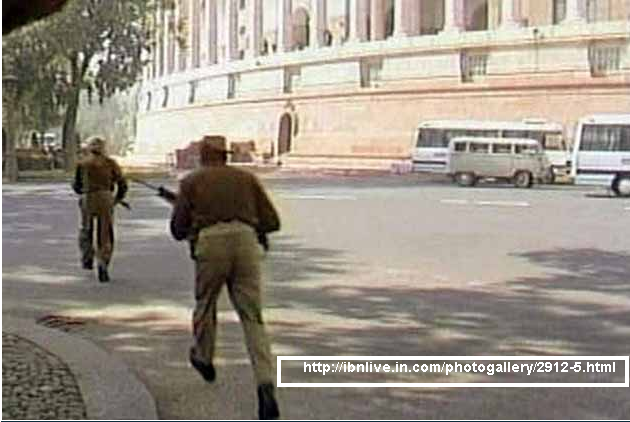 Indian parliament was under attack by terrorists that day. I happened to be in Delhi and in the vicinity of Raisina Hill at Malcha Marg. At a roadside eatery TV was on and I along with some 30-40 people were glued to the TV screen, which was streaming live images of what was going on inside the compound of Parliament House. The situation was highly confusing, but one could see security personnel scurrying for vantage points to counter attack. The reporters at the site were talking of security men being hit and of possible causalities. Everyone was watching with bated breath; and warnings out of concern for the safety of security men could be heard from some, who were emotionally charged. At one point someone in the audience pleaded with images of security men on the screen to step back so that the terrorists could get inside the Parliament and succeed in killing at least some ministers and members of parliament. That comment met with instant approval from everyone and consensus emerged that terrorists should succeed in taking down with them prominent ministers and leaders of political parties. It was a fervent wish of a common man, who felt totally alienated from People’s Representatives, who behaved like the masters of the country. That little group wanted our parliamentarians to experience the plight and vulnerabilities of the man in the street. Later I found that similar sentiments had spontaneously emerged at other gatherings too where my friends were present. It won’t be too off the mark to surmise that such thoughts touched many. FBI’s methods are chilling, sinister & diabolic. Indian police and investigative agencies are not yet known to have used them, though there are reports of agencies of both countries cosying up to each other. Homeland Security Policy Institute of USA talks of exactly such a cooperation: << It is vital that the United States work with the Indian government to strengthen the efficacy of their internal security architecture and to develop common best practices and intelligence sharing protocols among US and Indian law enforcement, intelligence, and security services. In short, US and Indian officials should commit themselves to forging the practitioner-to-practitioner relationships necessary to counter the terror threat to India, to the United States, and around the globe>>. Moving ahead, the present terror investigation scenario in India that is marked by blockheadedness and ham-handedness may change and acquire the *diabolic sophistication* of USofA. Quite contrary to popular perception, there have been several *successful terror attacks* in USofA (Major Shootings in the USofA since 2005). So those who make falsifying comparison between *Hard-State* (i.e. USofA) and *soft-state* (i.e. India) based on fiction, and not facts, should not be allowed to mislead us. The violent hard-state has failed in stopping terror and bumbling soft-state has proved it can be hard as a nail when it wants. 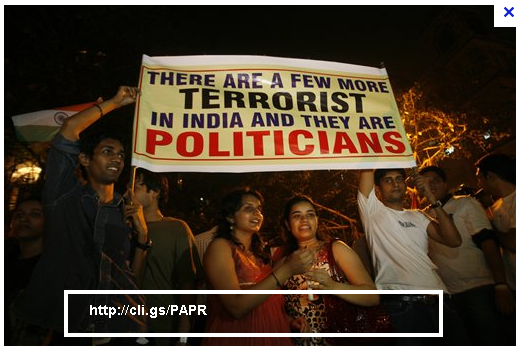 India has seen several high profile terrorist attacks. The public outcry puts enormous pressure on security agencies, which look both inept and callous. The consequent *witch hunt for collaring the perpetrators* follows predictable trajectory. Usual *terrorist outfits* are blamed, *suitable suspects* are rounded up, *confessional statements* are extracted, evidence is fabricated, and after much delay charge sheets are filed. But the track record of our investigative agencies in cracking the cases successfully is abysmal. Very few cases are prosecuted successfully. Tehelka Magazine had done a 3 month study of several terrorism cases and its findings are an eye opener: The Thin Red Line -> <<A three-month long investigation by TEHELKA — carried out all over the country — reveals that a large majority of these cases are redolent of a chilling and systematic witch-hunt against innocent Muslims. Sadly, the expose shows it is not just the policing and intelligence agencies that are to blame — even the judicial process is often complicit in the terrible miscarriage of justice. Ajit Sahi’s painstaking and remarkable reportage reveals a shocking web of dubious cases being pursued against so-called operatives of SIMI — cases which lack evidence, cases which flagrantly ignore standard procedures of criminal investigation and trial, cases that callously destroy the lives of young men and their families>>. Methods in the two countries may be different but the end effect is same for the victims and equally diabolic.